Picked fresh from the farm to offer your special recipient a bouquet intended to have them grinning from ear to ear, the Keep Smiling Mixed Flower Bouquet is set to bring warm, sunny greetings straight to their door. 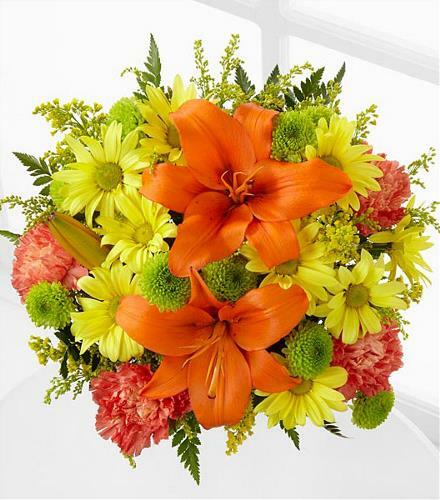 Hand gathered in select floral farms and boasting an array of bright colors, including orange, yellow and green, this fresh flower arrangement has been picked fresh for you to help you celebrate a birthday, or express your thank you or get well wishes. Euro Style Hand Tied Cut Bouquet - Keep Smiling Handtied Cuts NO Vase.